Business managers, independent business owners or freelancers, within sixty seconds you could be in full control of your organization’s time management! Whether you’re a manager or an independent business owner, timoose will consolidate all of your work schedule information into one, easy to use app, which lets you control all of your business parameters through one Dashboard. The convenient, easy and user-friendly app for time and attendance management. Controlling your time has never been simpler! 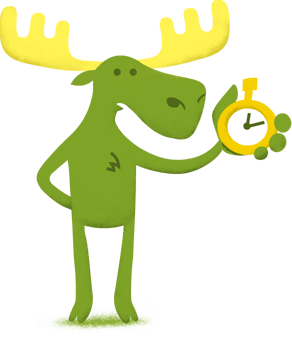 timoose is an effective tool for setting and accomplishing tasks. timoose offers all of the information you need in order to decide how to price a project, make it profitable for your employees, to estimate the feasibility of current and future projects, to make the system more efficient and neutralize concealed unemployment. From everywhere, even outside the office. Knowing at each and every moment how much time is invested in your project will allow you to control and improve your working hours, and the working hours of ever employee in your organization. Know how many working hours each project costs you! Gain full control, from anywhere, even through your cell phone!